Princess Wisdom, known as Dizzy, longs for a life of adventure far beyond the staid old kingdom of Montagne. Tips, a soldier, longs to keep his true life secret from his family. Fortitude, an orphaned maid, longs only for Tips. These three passionate souls might just attain their dreams while preserving Montagne from certain destruction, if only they can tolerate each other long enough to come up with a plan. Tough to save the world when you can't even be in the same room together. Magic, cunning, and one very special cat join forces in this hilarious, extraordinary tale by the author of Dairy Queen and Princess Ben. An incredibly creative tale told with diaries, memoirs, encyclopedia entries, letters, biographies, even a stage play, all woven together into a grand adventure. Fantasy and fairy tale lover that I am, I was really looking forward to Wisdom's Kiss. Unfortunately, I didn't like it nearly as much as I was hoping I would. There was so much potential, but in almost every regard Wisdom's Kiss fell short for me. I've heard Wisdom's Kiss compared to The Princess Bride and, yeah, I can see the comparison, but I think they are more on the same spectrum than the same level. I mean, it's The Princess Bride for crying out loud. Those are some pretty big shoes to fill. But, alas, I didn't find the wit of Wisdom's Kiss nearly as amusing. It was more in retrospect that I though, "Huh, I guess that was clever" but I wasn't all that impressed while reading. One of the biggest drawbacks for me were the multiple narrators. You know, I'm a huge fan of books with multiple narrators, but I don't think the device was used successfully in Wisdom's Kiss. The book is short, and with eight (yes, eight) different points of view all vying for attention, Catherine Gilbert Murdock needed to make every word count to bring her characters to life. Ideally this kind of switching POV style is used to provide deeper insight into the characters, but it actually did the complete opposite for me. Traits like making one of her characters a poor speller or another character who frequently uses abbreviations were the only real differentiating characteristics in the various voices. I had very little sense of who these characters were as people beyond their stereotypical and surface-level characteristics. And you know what? For the most part, I didn't care. With the exception of the grandmother and her cat (who weren't even that great but, come on, I'm a sucker for a feisty grandmother and a magical cat, no matter how shallow their development), I didn't really like any of them. They all seemed flighty, silly, spineless, and shallow. I also couldn't get on board with the actions of the characters we're supposed to like. Maybe I would have liked things more if I had known this would be the type of book where I'm not really supposed to love and identify with any one character. Think more like Shakespeare's Hamlet where you're (spoiler for Hamlet) sort of glad they're all dead in the end (or at least *I* was, though I love that play). I mentioned the eight narrators, but what you also need to know is that these aren't your traditional first-person narratives. Letters, excerpts from memoirs, play transcripts, diary entries, and even encyclopedia articles are used to tell the story. Yeah, I know. Creative, but I don't think it was all that effective. But the chapters are all very short, so you'll probably be able to fly through. Many of the narratives felt more pointless than not. Every time I slogged through an encyclopedia chapter or one of those excruciating chapters from the pompous but clueless mentor's memoirs (that I think are supposed to be funny, but they annoyed me) I kept thinking that this would be so much better if it was written in a straight up third person narrative. Then I wouldn't have had to sift through a bunch of irrelevant stuff just to get to the one or two lines of relevant information in those sections. And, ok, I'm a big baby when it comes to "slogging" and "sifting" because these chapters are extremely short so it's not like you'll be bogged down by endless pages of digressions. You'll just be bogged down by a few pages. Still, to me it felt like trying to get a straight answer from one of my elderly friends who likes to turn what could easily be a one sentence response into a rambling story about her life that only loosely ties back to the point of my question. Eventually. The more relevant sections were better, but they also suffered as a result of the narration choices. Like, ok, take for example the excerpts from what was supposed to be one of the character's future memoirs. You know what a memoir is, right? First person, story of your life kinda deal. So why were they written in the third person?? And why did it sound nothing like the character? These chapters felt like they were born to be written with a third person omniscient narrator, but are warped and stunted by the confines of the "memoir" gimmick. I haven't read Princess Ben, but I do know that it is a fantasy story about a girl named Benevolence and there is magic involved. 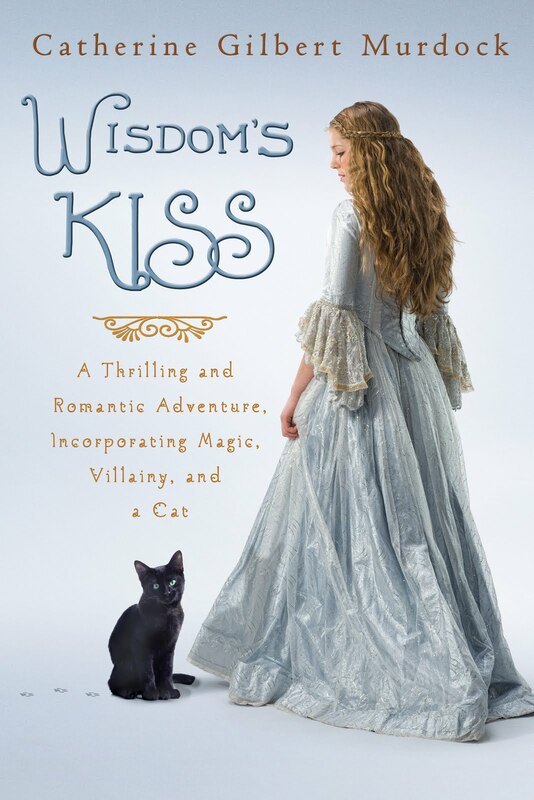 Now, nothing on Wisdom's Kiss says that it's a sequel or even related to Princess Ben, but I'm using my awesome powers of reasoning and guessing they're at the very least companion novels. The grandmother in Wisdom's Kiss is named Ben and often alludes to adventures in the past in such a way that I get the impression the reader should be familiar with those escapades. Some scenes and lines even felt like their sole purpose was to make the reader think, "Yup, good old Ben, she's even awesome as a grandma!" Except, she's not. Not really. She's nice I guess, but she doesn't do anything in Wisdom's Kiss that makes her particularly standout. She's even kind of weak at a few points (which totally contradicted the few times when she was awesome) and I had to scold her for being stupid on more than one Major Point. There were also things like vague references to magic use and events surrounding such use that mean nothing to me and aren't supported in Wisdom's Kiss in any concrete way. The lack of support in Wisdom's Kiss for things that I can only guess are Important Events in Princess Ben made Wisdom's Kiss feel like a pale shadow overly relying upon and trying to capture the magic of the past without offering anything new. And, really, I didn't find enough in Wisdom's Kiss's plot to justify itself. It's a great idea, but it isn't fleshed out nearly as much as I would have liked it to have been. As it stands, the sparseness of the characters and simplicity of the plot are enough to prop up a fun but forgettable short story. It is only through the narrative gimmick that Wisdom's Kiss can be stretched to novel-length (if not novel depth). That said, the story had an almost Shakespearean feel that I did like and a resolution that, while I personally found it unsatisfying, is original. If the gimmicky narrative style had been changed to a more traditional approach, then I think the characters and plot would have been given the focus and expansion necessary to have made me really like this book. Every character had the potential to be incredibly interesting (if not always likable) if they had only been developed further. Perhaps if you enter into the book with more appropriate expectations of depth then you'll like Wisdom's Kiss more than I did. I also think readers will like this book if they click with the narration style. If you're a fan of Shakespeare or The Princess Bride then you might want to check this out. I can see that Catherine Gilbert Murdock has the ability to be a great writer reminiscent of Gail Carson Levine or Jessica Day George. I'm disappointed that my first experience with her is through a book that feels like it received the attention of a creative exercise instead of the care of a real novel. Still, even though I was sorely disappointed with Wisdom's Kiss, the first thing I did after finishing it was to place a library hold on Princess Ben, which I am pretty confident I will enjoy. Do you have any questions about Wisdom's Kiss that I haven't addressed? 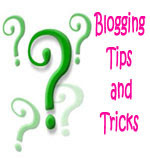 Click on the cover to go to my review. Dang-I was really looking forward to this as I love fairytale-esque stories as well as epistolary style but 8 narrators sounds like way too many. Sometimes two is too many for me; I'll probably give this a chance if it hasn't expired by the time I get to it on Netgalley. Eight narrators is definitely too much. I would imagine it would be very difficult for an author to differentiate that many - but possibly doable if they were very talented. And I would imagine first-person narrative would be a must, not all those other methods the author used. It's a shame. I hope you'll be able to have a better experience with the author's other book! 8 narrators! That is way too many. I really don't like more than the standard two. I find anything else confusing. Great review Small. It is a shame this book didn't live up to it's full potential. Aww, it sounds a bit like book fail. And I'm sorry because I generally like this author but I don't really think writing these fairy tales is her forte. Still, I remember Princess Ben as being enjoyable, even if it did suffer from some drawbacks, this doesn't sound as enjoyable. Bookworm1858, I'd still suggest trying it. It's so short and quick to read that it should take you no time at all. It did pick up toward the end when all the story lines started to come together. Hopefully you'll like it more than I did. Aylee, Yes, I agree, first person narratives would have been so much better. And trimming a few of the less-necessary narratives. Nic, I prefer two also, but I can see more than that being ok if it's done really, really well. Alex, Yeah, it was total book fail for me, but maybe not for other readers. Aw, some drawbacks in Princess Ben? Too bad. :( The cat was good, but far too underdeveloped. I adore The Princess Bride, so I was hoping to love this. Sorry it didn't live up to your expectations. I didn't realize this was a companion novel to Princess Ben, either. 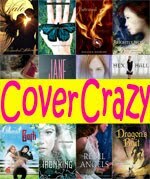 I did enjoy Catherine's Dairy Queen series, so if you want to try something else by her I recommend those! Kelsey, I love The Princess Bride too. I've heard really good things about her Dairy Queen series. I don't usually read contemporary books, but I think I'll try hers. I felt much the same way (though I did read and LOVE Princess Ben and that may have lightened my reaction a bit). It was rather disappointing. I highly recommend Princess Ben, though you really don't have to read it to understand (if it's possible) Wisdom's Kiss. Eeep, eight narrators! That seems like a bit too much! There is no way I would be able to keep them all straight while reading this one. The idea of having the book made of of letters, memoirs, and such sounded like it would have made the book a fun read. Sorry that it didn't really come together though. This one sounds like it had the potential to be great, but didn't really live up to its expectations. I'm all for shaking things up, but come on, man! No need to go overboard. Seems like the idea had potential but just didn't hit the mark. Thanks for sharing your honest thoughts Smalls. You definitely don't hold back and I really admire that about you. I like the comparisons to Princess Bride and Shakespeare. I thought I would like all of the devices, but now I'm worried about the gimmicky part. Since it's a quick read, I'll give this one a try, but the number of narrators has me concerned I won't like it. How disappointing. Sounds like it's laid out oddly. Have you read Murdock's Dairy Queen books? Those are some of my favs. Ouch! I think I'll forget that title! too bad..but 8 narrators are a lot! I don't think I could keep up. Aw, this one sounds like it could have a lot of potential. Too bad it failed. Eight narrators are really too much, especially if they're not well-developed. This one sounds a bit as you'd put it "meh" to me. Eight narrators also sounds like my head might burst trying to keep track of them all, especially because I listen to a lot of books as text-to-speech on my kindle. Its sooo hard to tell speakers apart. Well, thanks for the review and sorry you didn't like this one so much, I'm also going to pass. Melissa, Oh good! I was hoping Princess Ben would be better. T. B., It did have a lot of potential. I think I would have liked it a lot more if a few narrators were cut and the ones that remained were given more distinct voices. Missie, Ha, yep eight is a bit much. I try really hard to be honest without being mean, so thank you! Bailey, Ooh, if you don't like multiple narratives, then I really don't think this one will work for you. 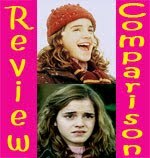 Logan, I thought you would like those comparisons :) I think there is something to appreciate with the book if you go in with the right expectations. I, admittedly, had the bar set pretty high. Alison, Nope, this is my first book by CGM. I've heard amazing things about her Dairy Queen series though so I think I'll have to check it out. Thanks! Heather, I don't think you'd be missing out. There are plenty of other books out there that I think you'd like better. Gina, Haha, yup, very meh. The only way I could really keep track of them was by the headers at the start of each chapter. Listening to it would be very difficult, I imagine.